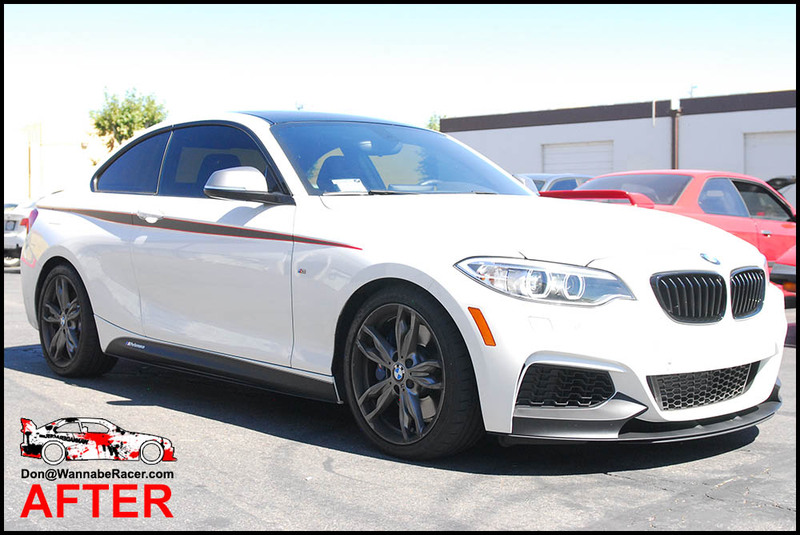 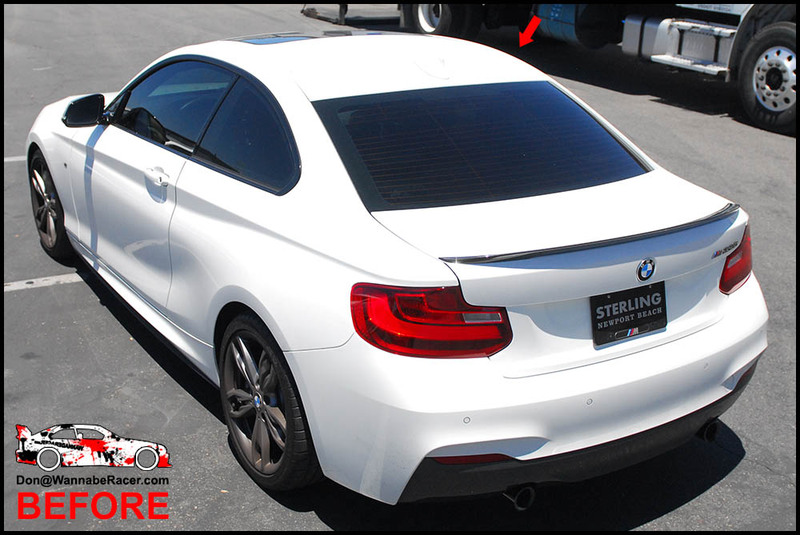 Going with a more aggressive look on this BMW M235i coupe, the owner had me wrap the roof of his car in gloss black and install the M Performance side stripes and also the lower rocker panel decals. 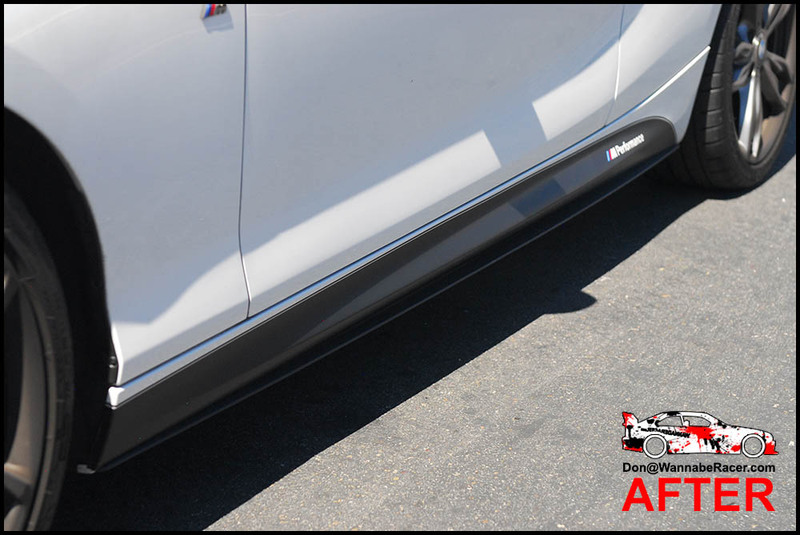 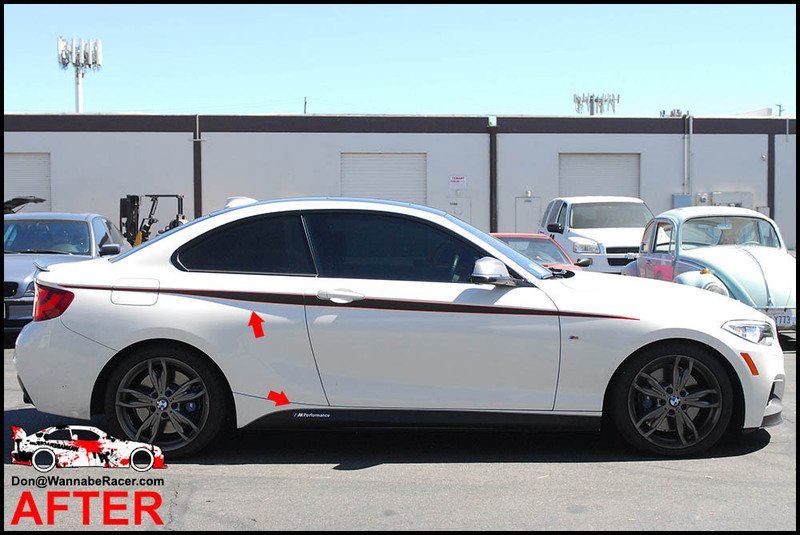 The rocker panel decals are more common than the side stripes, but the owner wanted to go with something more aggressive, so he decided to add on the side stripes with the red outline. 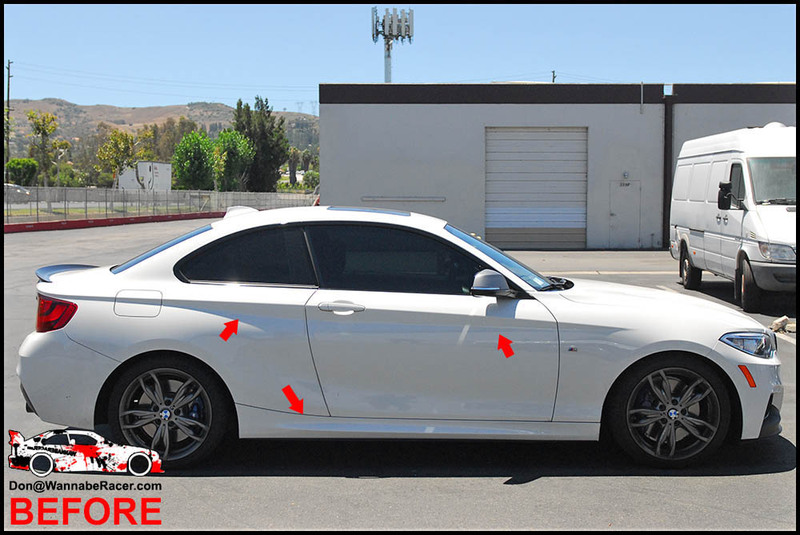 The owner of this car was from Newport Beach Orange County and brought his car out to me in Anaheim Hills to do the vinyl wrap install.